GuadalajaraLowdown: Mexico’s second-largest city with its own Silicon Valley. Expats tend to gravitate toward areas south of here—Ajijic or Chapala—where they can still tap into the city’s amenities. How much? Rent from US$500 per month. Buy from US$75,000. Expat-speak: “About the middle of July, the beach at our main home in La Manzanilla on the Pacific coast starts to get oppressively hot and humid. That’s when we head north and lakeside to our house in Chapala. We then have three or four months of delightful weather during what qualifies in this region as the off-season, which is our favorite. We think that we are living the ideal life, splitting our time between the ocean and the largest lake in Mexico.” —Jonathan P.
San Miguel de AllendeLowdown: 450-year-old city of 150,000 people that works hard to preserve its colonial features. A favorite with local and foreign tourists, San Miguel has a true international feel. How much? Rent from US$450 a month. Buy from US$145,000. 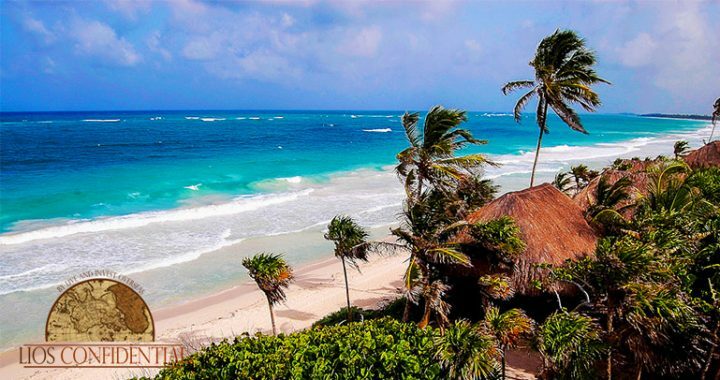 Expat-speak: “No matter where you’re from, San Miguel is a place that feels like home.” —Leslie von D.
Riviera MayaLowdown: Stretch of Caribbean coast from Cancún to Tulum that is seeing major development. A unique mix of unspoiled beach and Mayan ruins. How much? Rent from US$1,250 in sought-after Playa del Carmen. Buy from US$150,000. Expat-speak: “Things get done… but it may take some time. The fast city pace is not here. It’s very relaxed and very comfortable. My only regret is that I didn’t make the move sooner. Here, I feel like I’m getting younger by the day.” —Michelle B.
Puerto VallartaLowdown: Colonial city on the Pacific coast, P.V. is becoming increasingly popular with vacationing boomers. The Riviera Nayarit to the north is also emerging and holds much opportunity. How much? Rent from US$200 in P.V. Buy from US$40,000. Expat-speak: “On the quiet side streets that climb steeply toward the hills, people leave homes and apartment buildings to do their daily shopping just as they would anyplace… just as though they weren’t lucky enough to live in one of the most romantic cities in the world.” –Lauren S.
MazatlánLowdown: North of Riviera Nayarit, Mazatlán is a working town with a 5-mile-long malécon (believed to be the longest uninterrupted beach boardwalk in the world). Because of its industry, Mazatlán offers more amenities than P.V. Expat-speak: “So why did we pick Mazatlán? It was mostly the attraction of the walkable historic center and all the amenities it offers… including the fact that the historic center is miles from the main tourist area in Mazatlán. And, importantly, it’s possible to buy a beachfront property in the historic center, which is rare… so you can enjoy the advantages of both.” —Lee H.
This is just a quick snapshot, of course. Our agenda at Live and Invest in Mexico Conference, this Nov. 15–17, is to give you the full picture on these areas… along with others that have recently come on our radar… as well as specific investment opportunities worth your consideration today. Our aim, as always, is to leave no stone unturned… to arm you with everything you need to know to make your move to Mexico. To that end, all our top Mexico experts will be in the house to answer your questions. Over our two-and-a-half days together, you can raise any issues in our Q&A slots… or approach our experts at their individual tables in the exhibition hall. We’re only on the ground in Mexico once a year, so this is your single chance in 2017 to come and witness all this country has to offer… in the company of those who can guide you step-by-step through your move. We’re holding this 2017 Live and Invest in Mexico Conference in Cancún—a chance for you to check out the Riviera Maya first-hand… while also being in a position to connect easily, by coach or plane, with other parts of Mexico. And, this week is your last chance to lock in the best value on your seat. Until this Friday, save US$250 off your place in Cancún with our Early Bird discount… and use Coupon Code PREMEX50 to save an extra US$50. You may qualify for other reader discounts, too. Posted in Live And Invest Overseas Confidential and tagged expat, expat community, Live In Mexico.